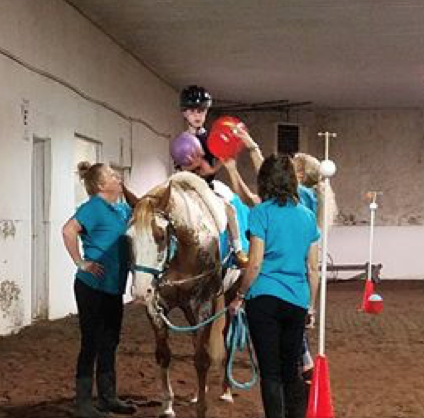 We provide physical, occupational, or speech language therapy for people with special needs and have ponies or horses as a therapy source. Sessions are hourly once a week, in combination with traditional therapy. 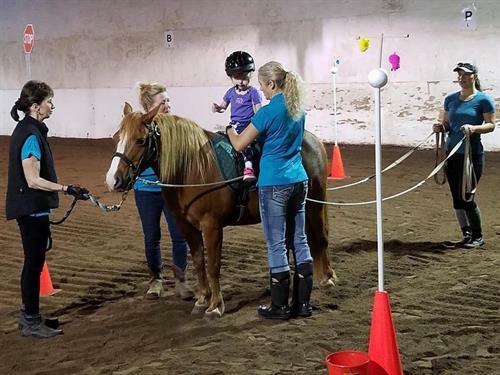 Those therapy goals and objectives are met as program participants work around, next to or with a pony during “groundwork” or ride during Hippotherapy, treatment with the help of the horse. 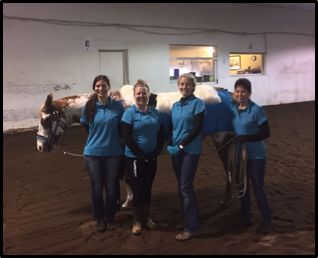 Both groundwork and Hippotherapy sessions are designed to meet individual therapy goals and objectives with a pony or horse present. 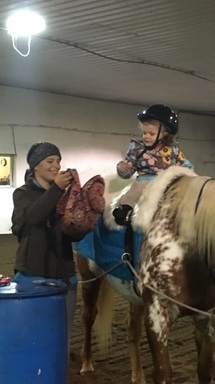 However, in Hippotherapy the participant actually rides. The pony or horse is driven from behind to maximize a swinging motion. Without a saddle but with a sheepskin pad plus side walkers the rider benefits from this motion and warmth while seated. 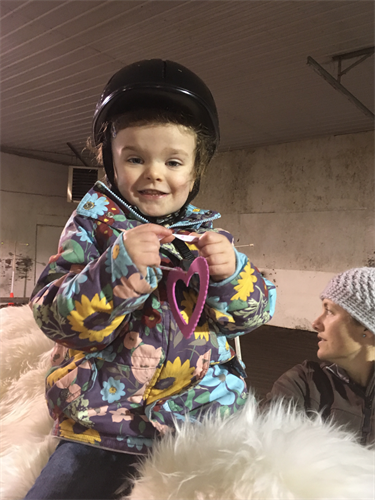 Our legs are moved by a walking horse in way that, as one rider has said, “teaches the brain how to walk.” Watch our Pilot program video @ tinyurl.com/y9nj2yar to see how Hippotherapy works and why. See our young rider taking steps. Since the Pilot program and our relocation we are grateful to those who funded an outdoor arena! Due to weather groundwork services have begun in the barn with amazing results. Visit our Facebook page @acornhilleaat to see who we are working with and all she is accomplishing. And consider visiting www.acornhilleaat.org to make an easy online tax deductible donation or contribute by mail today. 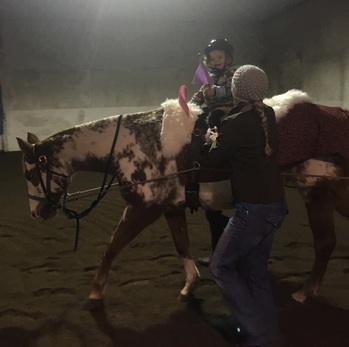 We are raising funds to cover and heat our arena. Let us get back to the whole plan of making a difference, changing a life, step by step and stride by stride.